Pactron’s Q7 Carrier Board meets the new Q7 Specification Revision 2.0, released on September 2012. 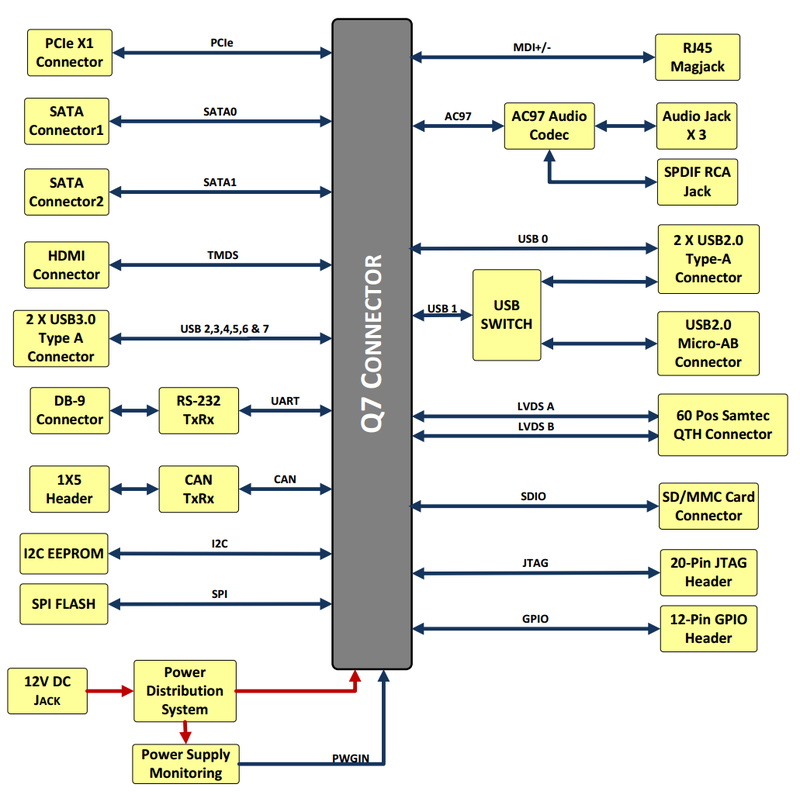 It is targeted for the hardware and software validation of ARM processor based Q7 CPU modules. This compact version includes 2x USB 3.0 interfaces, 2x SATA II connectors, 1x PCIe connector, 1x Gigabit Ethernet, HDMI, JTAG and Audio interfaces. Supported Modules Pactron’s 88AP510 Q7 Module and all ARM processor based Q7 SoMs.